Including a track with Big K.R.I.T. 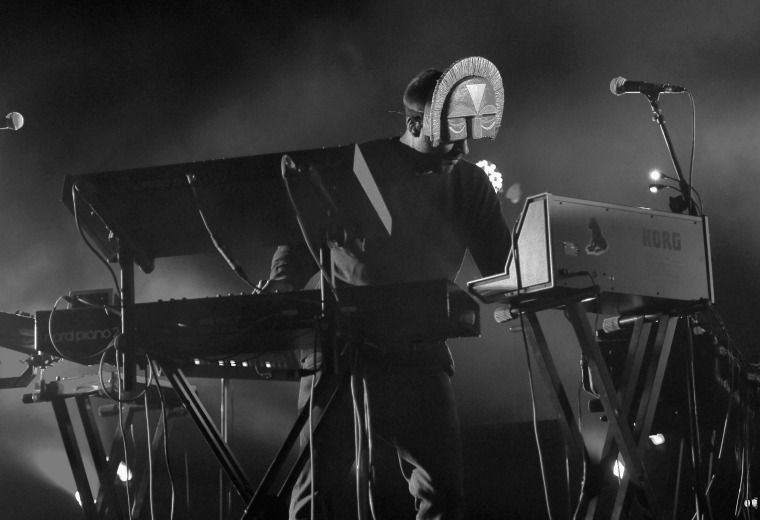 SBTRKT took over BBC's Radio 1 last night. In between classic hits (Mobb Deep's "Shook Ones (Part II)") and of-the-moment selections (Boogie's "Oh My," Drake's "Hotline Bling"), the producer sprinkled a handful of previously-unheard tracks. Three of these were solo tunes: "Runner Replicant," "Enchanting Forest," and "Kalida." He also unveiled a remix of Sampha's "Rainstars"—Sampha and SBTRKT are frequent collaborators—and a track with Big K.R.I.T. titled "Guadalupe." Listen here, and read FADER's GEN F profile of Sampha.